Tomorrow, my baby turns 5. “She’s not a baby!” I hear you exclaim. Let me explain. To me, she will always be the gorgeous 4 lb chica who came just a bit early and surprised us with her sassiness, persistence, brilliance and beauty from day 0. I will never forget my fear of having her, my joy of realizing that my long difficult pregnancy journey led to such a great kid. She’s amazing. A little tough to take at times, but an amazing human being. In a large bowl, mix flour, sugar, baking soda, baking powder and salt together. In a medium bowl mix buttermilk, eggs, zest and cooled melted butter. Add wet ingredients to the dry and stir until there are no lumps. Fold in blueberries. I made a mix of mini and regular sized muffins. I sprayed the mini tin and used cupcake liners for the larger muffins. 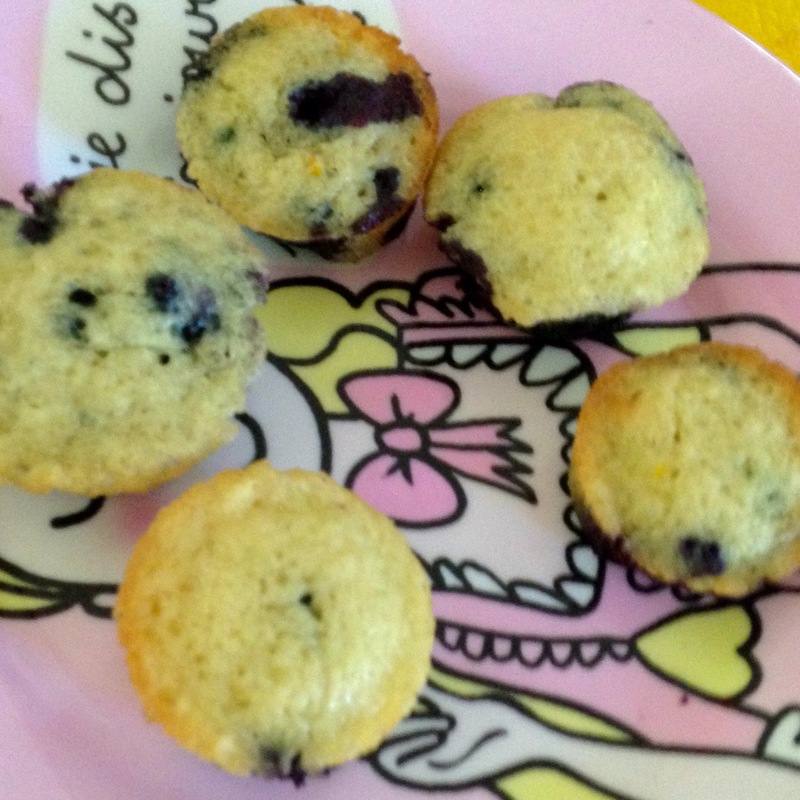 Bake mini muffins for 8-10 minutes and large muffins for about 15-20 minutes or a tester comes out clean. I let Z take the picture of her creation. Next Next post: Champagne Cake? Oh My!